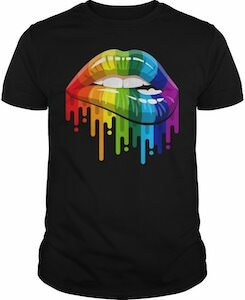 If you like to show your support for gay and lesbians then wearing this cool rainbow lips t-shirt. The dark color shirt is available in styles for men and women and comes in sizes Small – 5XL. On the shirt you can see some amazing lips and white teeth and the lips are painted in rainbow colors and the paint seems to be dripping from the lips on the shirt and that really looks great. So show some lovely lips on your clothing to show your rainbow love. 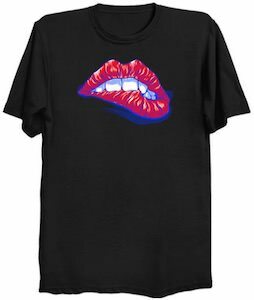 If you like a t-shirt with lips and teeth then you should check out this lips and teeth t-shirt. The t-shirt shows some red lips with white teeth and the teeth are biting the lips a little bit and that looks pretty cool. 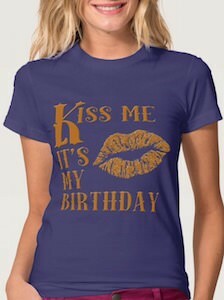 And you can get this shirt with a mouth in styles for men and women and it comes in many sizes and in sizes Small – 6XL. So if you like a shirt with a smile then you really want to check out this shirt and by clicking on the picture you can see all the styles and colors.